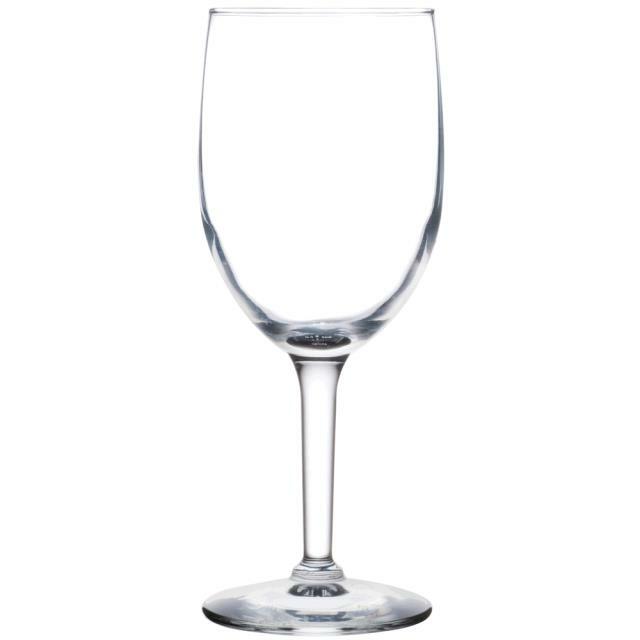 Wine Glass - Citation 9 1/2 oz. Bring classic, simple elegance to your tabletops and bars with the Citation 9 1/2 oz. goblet. This glass will never cease to impress with its flawless appearance and effortless sophistication. Serve up champagne, wine, cognac, and more in this crystal clear goblet that shows off every rich color and dancing bubble to enhance any presentation. Top Diameter = 2 1/2"
Maximum Capacity = 9 1/2 oz. * Please call us for any questions on our wine glass citation 9 1/2 oz. rentals serving Corvallis OR, Albany OR, Salem OR and surrounding areas.